The fairly odd...zombies. 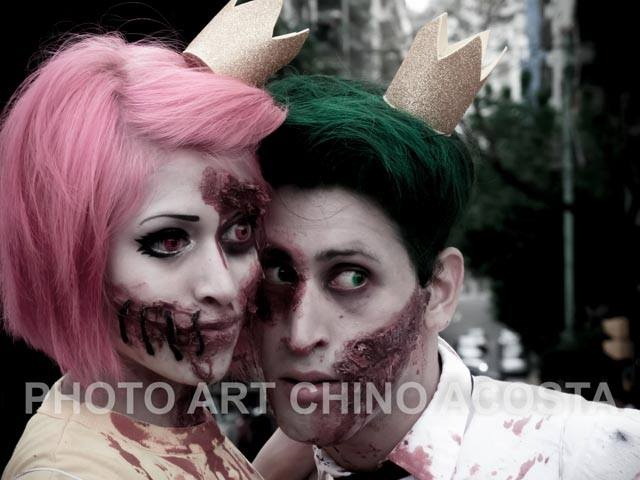 a cosplay made for me and my girlfriend of cosmo and wanda for the zombie walk 2013 in argentina :3. Wallpaper and background images in the The Fairly OddParents club tagged: photo the fairly oddparents zombie walk cosmo and wanda cosplays zombie walk 2013 argentina. This The Fairly OddParents fan art might contain 초상화, 얼굴, 근접 촬영, 얼굴 만, 세로, and 헤드샷.